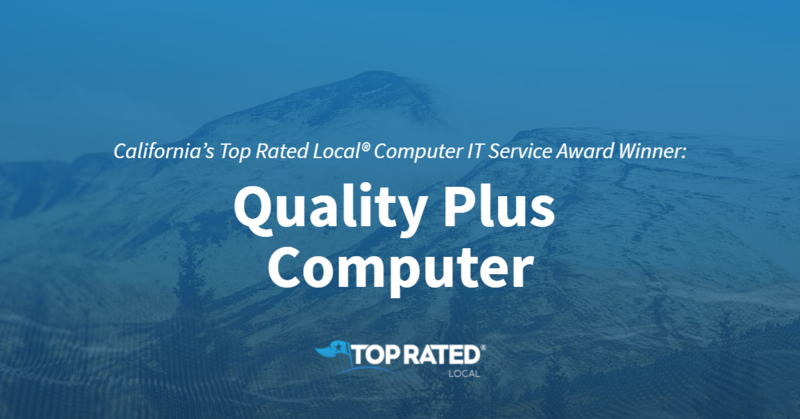 Top Rated Local® is pleased to announce that Quality Plus Computer is a 2019 award winner for computer IT service providers in California! From virus removal to data recovery, Quality Plus Computer in Chino Hills has what it takes to meet all of your computer repair needs. Quality Plus Computer has received hundreds of reviews on four verified sites with an average rating of 4.97 stars, earning them a spectacular Rating Score™ of 92.86 and a 2019 Top Rated Local award for ranking among the top 10 computer IT service providers in all of California! “The screen display on my HP Pavilion dv4-2160us laptop went out of service. They had it replaced within less than an hour after I brought it in at 4:45 pm on the same day. The management and technicians of Quality Plus are always responsive to my needs. I have been a customer for three service incidents, and plan to use them in the future. Best Buy’s Geek Squad charges way too much. I recommend that you try them for your next service needs. They are very honest and charge you a fair price — way, way lower than what others will charge you.” – A.M.
Peter, the Store Manager and owner of Quality Plus Computer, generously gave us a few minutes of his time to tell us about his one-of-a-kind business and its impressive online reputation. “Do not be afraid to take chances on the business; I support our work by allowing customers who are not satisfied to have their money back. Treat people the way they like to be treated. Congratulations to the team at Quality Plus Computer for being a 2018 Top Rated Local award winner, and thank you so much, Peter, for taking the time to speak with us! We highly recommend Quality Plus Computer in Chino Hills. Visit their website today! Top Rated Local® is pleased to announce that CC Vintage Rentals is a 2018 award winner in California! From backdrops to tablescapes, CC Vintage Rentals in San Diego has what it takes to make your wedding day memorable. CC Vintage Rentals has received dozens of reviews on five verified sites with an average rating of 5.00 stars, earning them an impeccable Rating Score™ of 100.00 and a 2019 Top Rated Local award for ranking among the top 100 businesses in all of California! “Amazing! Cristina and her team at CC Vintage Rentals did a FANTASTIC job. I sent them a photo of a freestanding doorway that I had seen on Pinterest, and not only did they work closely with me to figure out exactly what I wanted, they CUSTOM-BUILT the doorway for me at an amazing price. The doors were from a 30-year old barn in Washington State, which was so cool to share with our guests. They also tracked down some additional decor that I had trouble finding and kindly offered to pick those items up at a later date. Cristina was so kind, helpful, professional and, most of all, she was super responsive, which is something I can’t say about the nine or 10 other rental companies I called looking for these particular items. CC Vintage Rental is the best, and for a destination bride, it’s a dream come true. Thank you so much!” – Missi R.
In order to learn more about this award-winning business and the incredible online reputation they’ve managed to build, we spoke with Cristina Cadden, owner of CC Vintage Rentals. Building Success by Asking for Feedback. Cristina credits CC Vintage Rentals’ strong online reputation to the fact that their clients are responsive when they send over requests for reviews. Outside of building a strong online reputation, word of mouth has been the name of the game for growth at CC Vintage Rentals, and they also get their name out there by doing events for nonprofits. Congratulations to the team at CC Vintage Rentals for being a 2018 Top Rated Local award winner, and thank you so much, Cristina, for taking the time to speak with us! If you need the perfect rentals to make your big day one to remember, we highly recommend working with CC Vintage Rentals in San Diego. Visit their website today. Top Rated Local® is pleased to announce that L. Josephine Cheung, LCSW is an award winner for therapists & psychiatrists in 2018. If you are looking for a compassionate and dedicated psychotherapist who will work hard to truly understand you, look no further than this award-winning practice. The office of L. Josephine Cheung, LCSW has received dozens of reviews across many verified sites with an average rating of 4.74 stars, earning them a phenomenal Rating Score™ of 94.38 and a 2018 Top Rated Local award for ranking among the top 10 therapists & psychiatrists in California! This dedication is made clear by the overwhelming number of positive reviews L. Josephine Cheung, LCSW has received. 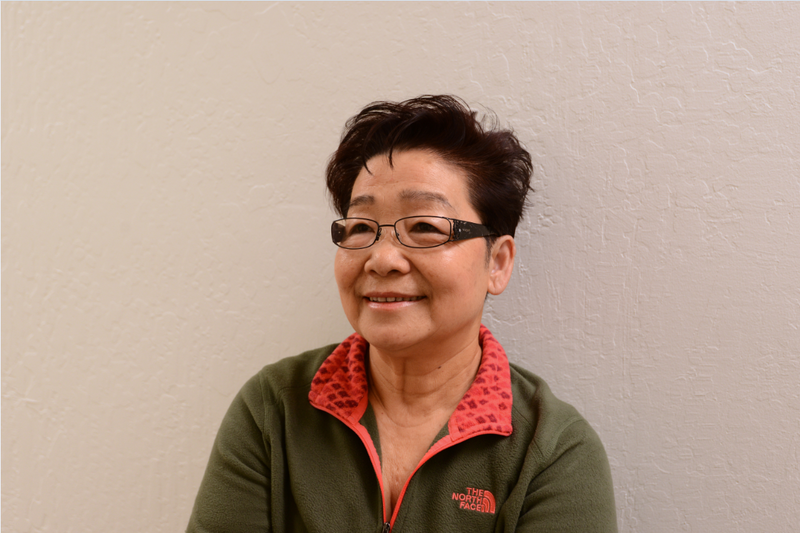 Congratulations to L. Josephine Cheung, LCSW for being a 2018 Top Rated Local award winner! 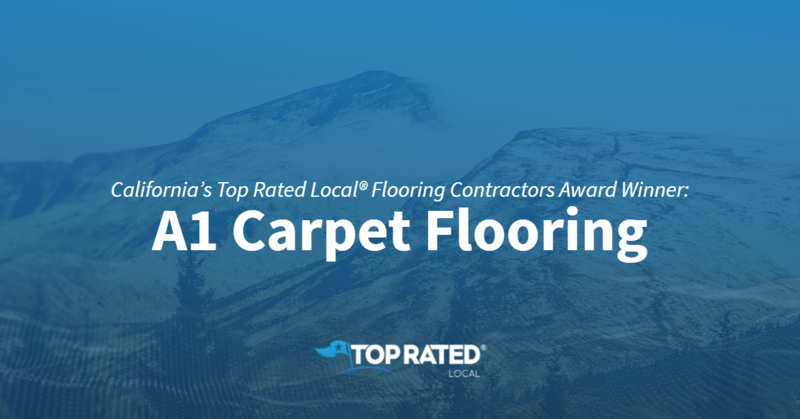 Top Rated Local® is pleased to announce that A1 Carpet Flooring is a 2018 award winner for flooring contractors in California! If you’re looking for high-quality flooring options at an affordable price, look no further than A1 Carpet Flooring in Thousand Oaks. A1 Carpet Flooring has received dozens of reviews on five verified sites with an average rating of 4.60 stars, earning them a wonderful Rating Score™ of 96.00 and a 2018 Top Rated Local award for ranking among the top 10 flooring contractors in all of California! “A-1 carpet gave me excellent service and pricing. I highly recommend them if you are looking for great prices and service. Thank you, Kevin!” – Omid T.
We wanted to learn a little more about A1 Carpet Flooring and their impressive online reputation, so we took a few minutes to talk with Kevin, the owner. When asked about the A1 Carpet Flooring secret to a strong online reputation, Kevin told us that everything they do is about making their customers happy. Not only has that commitment to making customers happy led to a powerful online reputation, but it has also led to word-of-mouth referrals, which is the number one source of growth at A1 Carpet Flooring. Congratulations to the team at A1 Carpet Flooring for being a 2018 Top Rated Local award winner, and thank you so much, Kevin, for taking the time to speak with us! For all of your flooring needs, we highly recommend visiting A1 Carpet Flooring in Thousand Oaks. Visit their website today! Top Rated Local® is pleased to announce that Clark’s Tree Works is an award winner for tree care companies in 2018. If you are looking for a tree care company that takes great pride in a job well done, look no further than this award-winning company! Clark’s Tree Works has received many overwhelmingly positive reviews across multiple verified sites with an average rating of 4.80 stars, earning them an impressive Rating Score™ of 96.04 and a 2019 Top Rated Local award for ranking in the top five tree care companies in California! “The crew was on time, efficient, knowledgeable, and did an artistic job pruning my 50-year-old almond tree. The cleanup was perfect and was all done in an hour. 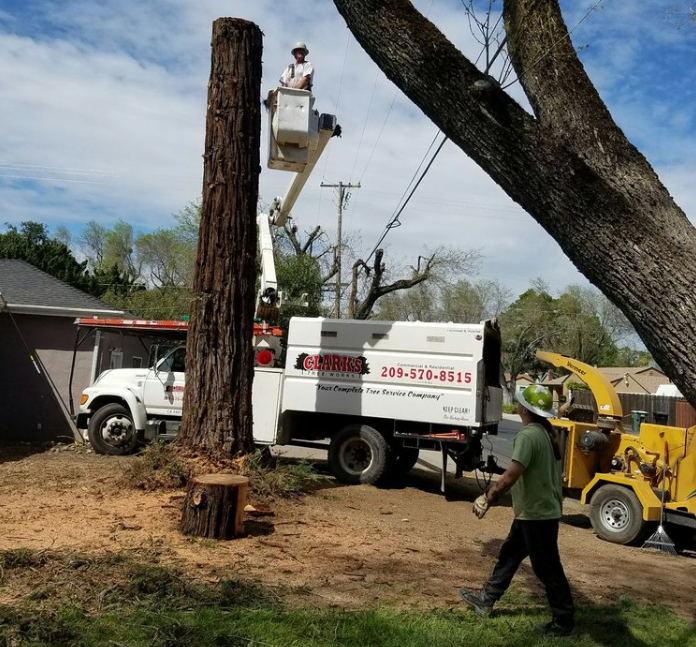 I would have them return for future pruning and highly recommend Clark’s Tree Works.” -Doug F.
It is because of excellent reviews like this that Clark’s Tree Works is now able to call themselves a Top Rated Local award winner! In order to get an idea of what makes Clark’s Tree Works stand out among the crowd, we took the time to speak with the owner, Rodney Clark. Congratulations to Clark’s Tree Works for being a 2019 Top Rated Local award winner, and special thanks to Rodney Clark for taking the time to speak with us! Top Rated Local® is pleased to announce that Jolly Brothers Catering is a 2018 award winner for catering companies in California! 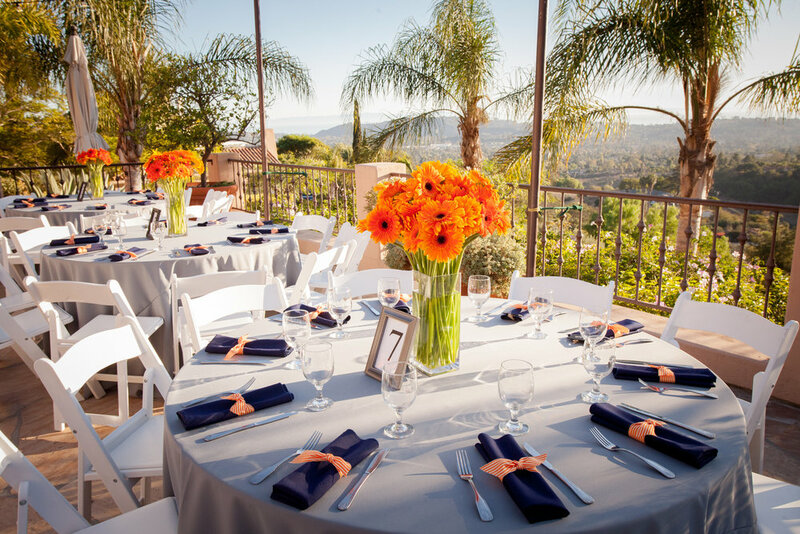 Make your next event delicious by relying on Jolly Brothers Catering in Santa Barbara. Jolly Brothers Catering has received dozens of reviews on five verified sites with an average rating of 5.00 stars, earning them an impeccable Rating Score™ of 100.00 and a 2018 Top Rated Local award for ranking among the top 10 catering companies in all of California! “I have used Jolly Brothers several times, and each and every time, I am amazed. The creativity and unique combinations of food pairings are always a delight. I love how Donald will work with you to make your ideas even better. But I love to just let him do what he wants. I tell him what type of party I’m throwing and let him do the rest. He will always make your guests happy. I have never had a better caterer.” – Jennifer P.
We took a few minutes to talk with Donald, President and owner of Jolly Brothers Catering, to learn a little more about the business and how they managed to build such an impressive online reputation. The first question we had for Donald was what sets Jolly Brothers Catering apart from the many other catering companies in California. 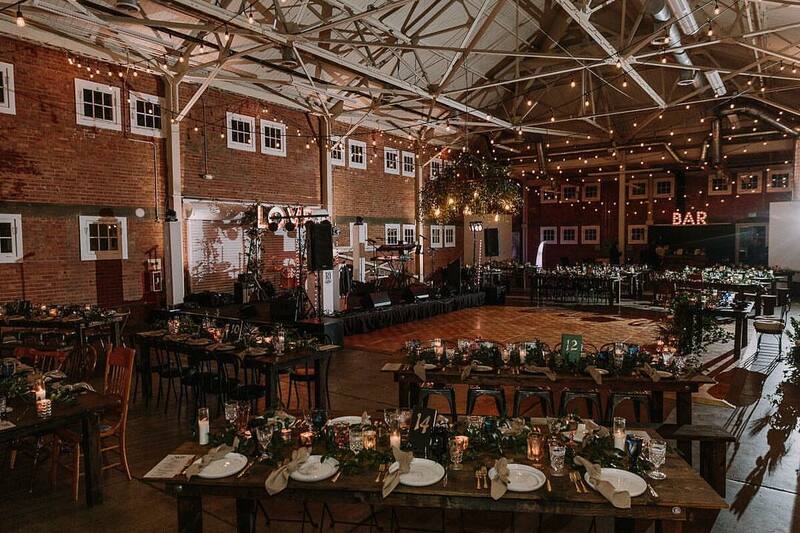 Donald told us that, at Jolly Brothers Catering, they are calm and organized, and they plan ahead for each event to ensure the most amazing experience for every client. 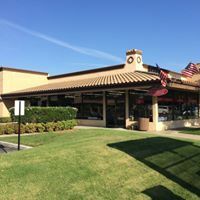 Donald credits Jolly Brothers Catering’s strong online reputation to the fact that they are very customer-focused. He also points to their fully customized menu, which creates a great experience for their customers. Outside of building a powerful online reputation, Jolly Brothers Catering has grown through Facebook, through giving back to their community by doing after-school events and classes on how to cook and through the many years they’ve been in business — they’ve been around since 1978, so people know who they are. However, word of mouth is their biggest source of growth at Jolly Brothers Catering, which speaks to the next-level experience they provide for their customers. Congratulations to the team at Jolly Brothers Catering for being a 2018 Top Rated Local award winner, and thank you so much, Donald, for taking the time to speak with us! 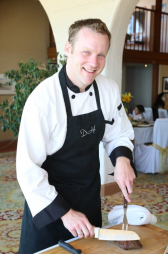 For all of your catering needs in Santa Barbara, we highly recommend Jolly Brothers Catering. Visit their website today! 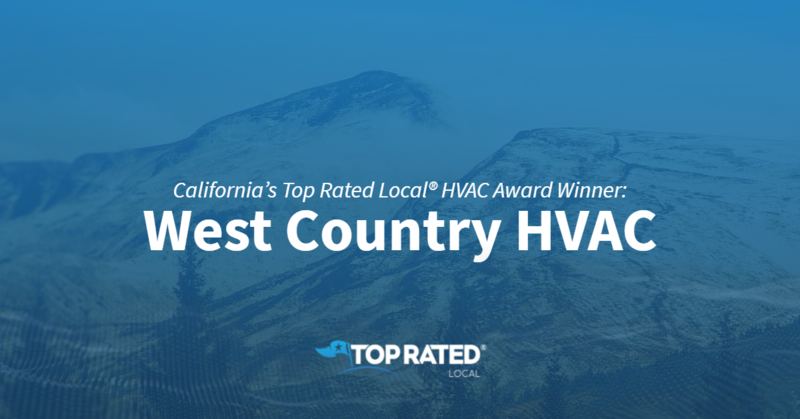 Top Rated Local® is pleased to announce that West Country HVAC is a 2018 award winner for HVAC companies in California! When you need reliable heating and cooling services in the High Desert area, you need West Country HVAC. West Country HVAC has received dozens of reviews on five verified sites with an average rating of 4.81 stars, earning them a spectacular Rating Score™ of 98.12 and a 2018 Top Rated Local award for ranking among the top 10 HVAC companies in all of California! “Called West Country after a couple of other HVAC companies were unable to diagnose our issue. The person answering the phone was very understanding when I told her about the problem. She promised to send out their best tech. He showed up as promised and was able to figure out the problem. He was very clear in explaining what he found and his solution. He then proceeded to fix it perfectly, in a timely manner and for a more-than-reasonable cost. Very good people.” – Steven S.
In order to learn a little more about the business and how they managed to build such an impressive online reputation, we sat down with Michael Peterson, President of West Country HVAC. The first question we had for Michael was what sets West Country HVAC apart from the many other heating and cooling companies in California. Michael points to the fact that they are small and family-owned, that they treat every customer like family and that they go above and beyond to meet their customers’ needs. Michael credits West Country HVAC’s strong online reputation to their commitment to always being honest, to treating everyone like family and to giving everyone the best service they can. Outside of building a powerful online reputation, West Country HVAC has grown by investing in online marketing. Congratulations to the team at West Country HVAC for being a 2018 Top Rated Local award winner, and thank you so much, Michael, for taking the time to speak with us! We highly recommend West Country HVAC for all of your heating and cooling needs in the High Desert area. Visit their website today! Top Rated Local® is pleased to announce that AAA Landscape Specialists is the number one landscaping company in California for 2018! “Amazing! That is the first word that comes to me after the completion of my backyard by AAA Landscape Specialists. From the pavers to the landscaping, stone wrap, water feature and the lighting, everything looks absolutely beautiful. David is great to work with and has a lot of patience for someone like me. Luis and all of his crew were hard working and are all about the detail and finished project. Everyone was a pleasure to work with and did an amazing job. They definitely know what they are doing and it shows in the end. Neighbors in our new housing all say I have the best backyard of everyone. 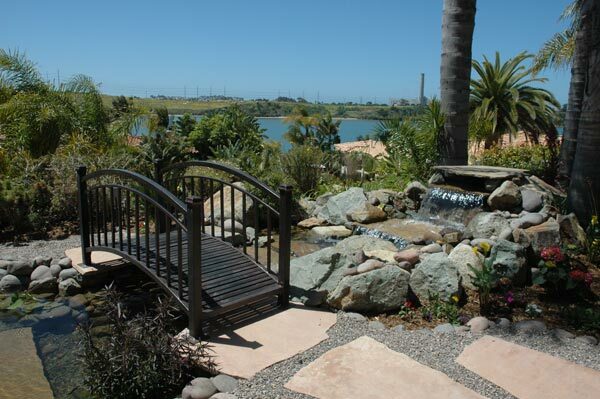 Do not hesitate to use AAA Landscape Specialists.” -Kathy C.
Our team spoke with David Silver, the owner of AAA Landscape Specialists, about his business’ online reputation and success. 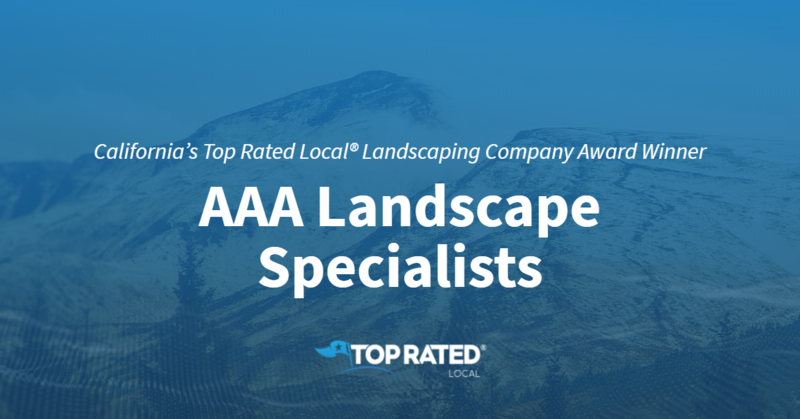 Congratulations to the team at AAA Landscape Specialists for being a 2018 Top Rated Local award winner, and thank you so much, David, for taking the time to speak with us! 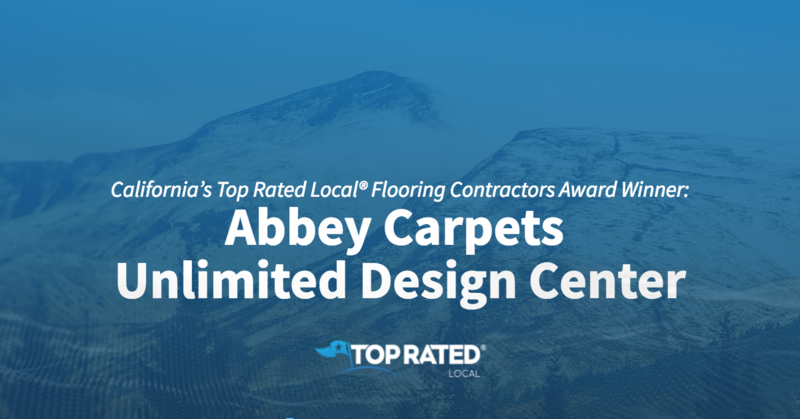 Top Rated Local® is pleased to announce that Abbey Carpets Unlimited Design Center is a 2018 award winner for flooring contractors in California! For all of your flooring needs in Napa, there’s no better option than Abbey Carpets Unlimited Design Center. Abbey Carpets Unlimited Design Center has received more than 150 online reviews on six different verified sites with an average rating of 4.83 stars, earning them a stellar Rating Score™ of 98.26 and a 2019 Top Rated Local award for ranking among the top 10 flooring contractors in all of California! “As a designer, I probably visit Abbey Carpets Unlimited a couple of times a month, and have been doing so for many years. I enjoy working with them, not only because of their variety of product and peppermint lifesavers, but also because of their friendliness, helpfulness and long-term customer service. They offer many carpet and tile manufacturers to cover just about any style a homeowner or business owner could want. They also have a selection of window shades and blinds. It’s always a pleasure to work with the staff and the owners at Abbey.” – Patti C.
We took a few minutes to talk with Janice, owner of Abbey Carpets Unlimited Design Center, to learn a little more about the business and how they managed to build such an impressive online reputation. The first thing we wanted to know was what sets Abbey Carpets Unlimited Design Center apart from the many other flooring companies in California. Janice points to the face that their sales team works to take care of their clients — not to earn a commission, to their staff — which is extremely knowledgeable and to their installers — who have been with Abbey for more than 30 years and who are the best at what they do. We also asked Janice how they work to make the world a better place at Abbey Carpets Unlimited Design Center. She shared with us that they do a lot with non-profits, that they have small fundraisers here and there and that they help with disaster relief. Janice credits Abbey Carpets Unlimited Design Center’s strong online reputation to their commitment to taking care of their customers. Outside of building a strong online reputation, Abbey has grown simply by showing up and doing a good job, and after 40 years of serving the community, people know who they are. Congratulations to the team at Abbey Carpets Unlimited Design Center for being a 2018 Top Rated Local award winner, and thank you so much, Janice, for taking the time to speak with us! For all of your flooring needs in Napa, we highly recommend Abbey Carpets Unlimited Design. Visit their website today to learn more. 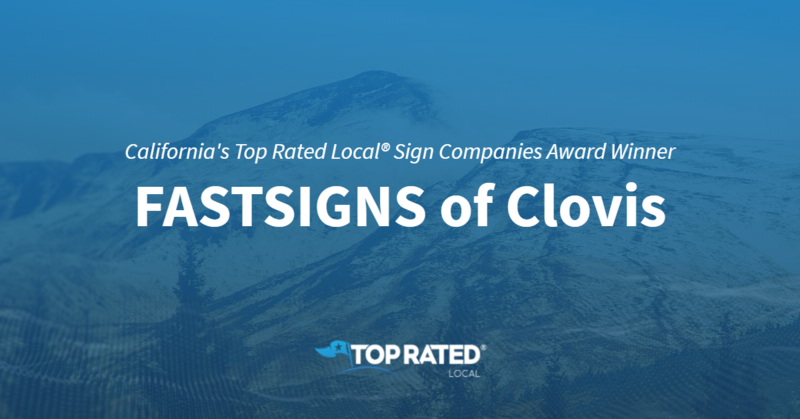 Top Rated Local® is pleased to announce that FASTSIGNS is a 2018 award winner for sign companies in California! If you are looking for a fantastic sign company in California, look no further than FASTSIGNS in Clovis. “I needed a sign for my new store, and all I had was an idea. I had no idea all of the things getting a commercial sign from design to installation entailed. Fast Signs in Clovis, CA. walked me through the entire process. It was so fantastic to give that one idea and be able to trust, write a REASONABLE check, come back to the store and voila! It is perfect!” – Chanel W.
We took a few minutes to speak with Robert Craigo, owner of FASTSIGNS of Clovis, to learn a little bit more about the business and how they managed to build such an impressive online reputation. The first thing that we asked Robert was what helped his business set itself apart from the competition. Robert was very clear that the biggest difference was his team’s dedication to the details, an emphasis on unparalleled customer service, and the fact they stand behind every product and service they sell. Outside of simply building a strong online reputation to grow the business, FASTSIGNS of Clovis also participates heavily in marketing their brand across many different channels, including radio ads. Congratulations to the team at FASTSIGNS of Clovis for being a 2018 Top Rated Local award winner, and thank you so much, Robert, for taking the time to speak with us!